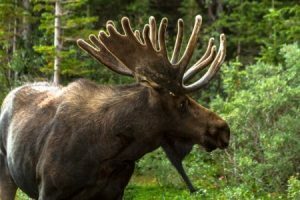 Moose hunting can be a lot of fun for hunters, assuming, of course, they are actually finding success during their hunts. Otherwise, moose hunting can drive even the most patient hunter crazy. To avoid running into obstacles during your next moose hunting trip, check out some tips below that will allow you to enjoy success and bag a moose before you return home. If the first shot you take when moose hunting is when you have a moose set in your sights, you’re probably going to miss. Before you pack up your hunting gear and head out on a moose hunting adventure, you should practice shooting as much as possible. Work on your accuracy, your timing, and other aspects of shooting that will guarantee you hit your mark when you start doing real hunting. If you are hunting in unfamiliar territory, you should try and get a lay of the land before your trip. Whether that involves using the internet to do research on it or speaking with those who hunt on the land regularly, you will be glad you did your homework before heading out to hunt. Knowing where to look for moose while hunting is more than half the battle. Although it might seem like it would be difficult for a moose to sneak up on you, you would be surprised by how quickly they can seemingly appear out of nowhere. So you should be on the lookout for them at all times. When one randomly decides to step out of the brush and reveal itself, you need to be ready to spring into action. You might only get one chance to do it, so make it count. At times, moose hunting can be frustrating, especially if you’re not a patient person. But it will pay off in the end if you follow these tips to increase your chances of bringing down a moose. The key is to stay composed and make sure you’re ready for whatever comes your way. At Mattice Lake Outfitters, we can help you to achieve a successful moose hunting trip. We offer high success rates due to our plentiful herds and the surveillance techniques we put into place. Call 800-411-0334 today to schedule a moose hunting trip with us.